Lots can go wrong with a student’s class notes. Too messy to read. Inadequate information written. Critical facts missing. Unnecessary words cluttering up the page. Students fail tests partly because they don’t take good notes. There’s an easy solution to that problem. Explicitly teach them how to take notes. Don’t have time? Can you afford NOT to invest the time? You won’t have to devote tons of valuable time. It will be time well-spent. Here’s a personal anecdote highlighting the power of one brief mini-lesson. As Director of Instruction, I offered support to classroom teachers. A middle school history teacher requested my assistance. One of his 7th grade students had failed all the tests in the first quarter. I began by observing the student during a review lesson for an upcoming history test. The teacher explained and wrote critical information. Like robots, the students wrote. Each face seemed void of any thought. Flat expressions conveyed boredom or tiredness—or both. The teacher explained and wrote…students wrote. The teacher explained and wrote…students wrote. It doesn’t look like anyone is thinking. The teacher broke the pattern and did something that confirmed my suspicions. Not one student wrote it down! Their note taking had been mindless. A simple task of imitating the teacher. He wrote; they wrote. He didn’t write; they didn’t write (even though he told them it was an important point that would be included on the test). I offered to teach a mini-lesson to that class about how to take class notes. Below you’ll find a document containing all the information I covered in a 20 min. lesson. I suggested that they try only one or two of the points made (such as: write info. only after you understand the point so it can be summarized, use abbreviations, etc.). Each student was given a copy of the document (on neon paper and laminated). About two weeks later I asked that same class if they had tried any of the strategies. Every single student had tried some of the methods and reported improved grades on recent tests. Everyone attributed their success to their better note-taking skills. They expressed gratitude and excitement. “What did you try?” I asked. One by one, they told me what they tried. All without referring to the document I provided! After that initial mini-lesson, the teacher provided reminders. During subsequent review lessons, he simply referred to the strategies before and during review lessons. He started modeling the methods by providing a list of abbreviations, by drawing simple pictures of important points, etc. Word spread. Several senior high school students asked me to teach the same lesson to their classes. Gotta love when students get motivated and become more invested in improving their performance! “He has trouble paying attention.” That’s what every teacher told us throughout our son’s school career. As if we didn’t notice. Diagnosed at age 5 with ADHD, Chris demonstrated classic signs of ADHD: impulsivity, distractibility, disorganization… Back then, 28 yrs. ago, most people didn’t know about ADHD. However, I was very familiar with the disorder. My training and experience teaching students in special education provided insight. You can just imagine how it frustrated me when educators reported the obvious about Chris. Especially in such vague terms. “He has trouble paying attention.” That didn’t tell me anything concrete or helpful. When I became a regular classroom teacher, I vowed to do a better job reporting information to parents of kids with ADHD. They deserved to know what I observed, how much redirection was required to keep the student on task, etc. So I developed a rubric. You may find it useful. When you click on the link below, you’ll find a chart. Start with the first column and pinpoint precisely where a student falls. Write the date in the box that best describes the student’s behavior. Do the same for all the other columns. After several months, repeat the process to update the information. Are you settling into the new school year (a-h-h-h), or are you THRUSTING into the new school year? Back on the treadmill? Get the kids up, fed, and dressed. Manage to load them into the van and arrive at school on time. Whew! Rush to work and put in a whole day. Hustle out to your car. Hurry to school to pick up the kids. Have a “meaningful” conversation about their day while speeding to after-school sports practices. Drop them off. Swing by to pick up food for dinner. Dodge slow-moving shoppers in the market. Race your shopping cart through the parking lot. Shove the bags in the van. Shoot back to the field to pick up the kids. Head home. Get bombarded with questions about homework while trying to make dinner. 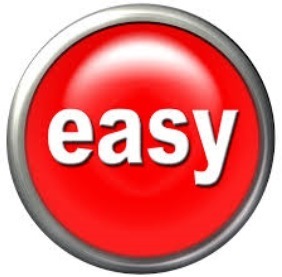 Wouldn’t it be nice to have a collection of easy-to-implement strategies? Here’s a collection of my favorite ones. Math Difficulties: Pre-teach the upcoming chapter. 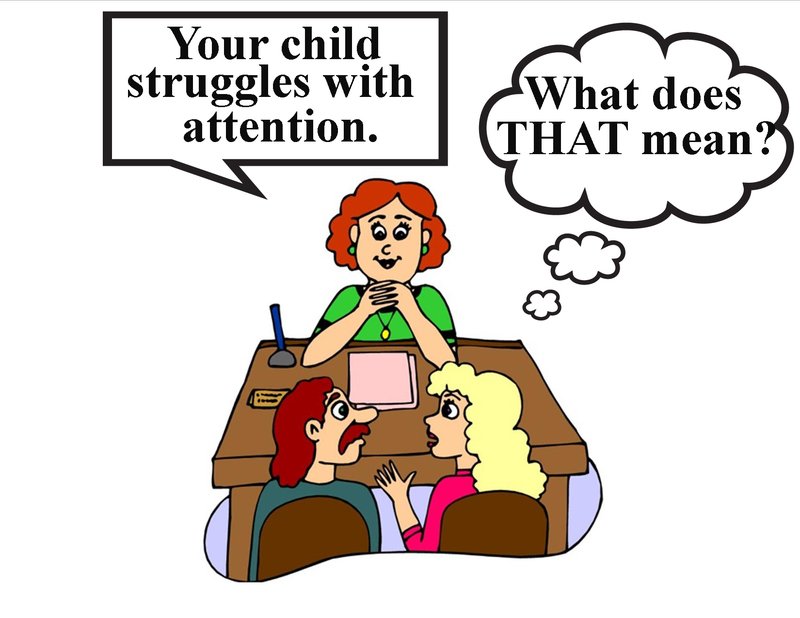 Often parents and tutors devote time to re-teaching concepts and skills a child hasn’t mastered. That’s like playing a catch-up game … a game the child can’t win. Instead, go to the chapter the teacher will be teaching next and introduce the concepts. When your child encounters them in school, s/he will be more confident. Maybe even confident enough to volunteer answers. The lesson will be a review. Your child will be more engaged. The teacher will begin to view your child as successful. Reading Comprehension Difficulties: Reciprocal Questioning is a strategy that elevates a child’s attention to content while reading. Usually after a child reads a story, the adult asks questions. This is the reverse of what’s done during a typical review. In this case, the child thinks of questions s/he will ask you about the story. While reading the story, the child can write down questions or dictate them to you (stopping as s/he thinks of each question). After the story or a passage is read, the child asks you each question. Its fun to answer some of the incorrectly so the child can correct you (and provide the correct answer). 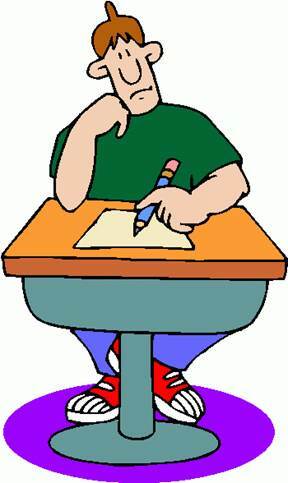 Homework Completion: Have the child predict how long it will take to complete each assignment. Often students can’t even begin their homework because the assignments loom so large in their minds. The task seems just too monumental to tackle. Why begin? Predicting how long each will take makes the job seem bearable. This seems like a simple strategy. But this approach works even with teens who have a learning disability. Optional: It’s fun to have the child use a timer to see how close s/he came to each prediction. Behavior Management: A fresh perspective of the child can drastically improve behavior. It’s very motivating to a child when a respected adult believes in them. I once taught a second grader, Billy, who had ADHD. He struggled to pay attention, seemed hopelessly disorganized, interrupted often in class, and got in trouble regularly during recess. Each day numerous students told on the student for an assortment of offenses. Occasionally, his classmates compassionately asked for prayer for him (in our Christian school). Billy’s difficulties were no secret to anyone. Billy’s eyes widened as big as saucers. He wondered how he’d miss such an accomplishment. My students responded with a deafening silence. My inquiry wasn’t based on evidence of any improvement. I simply wanted to change the students’ expectations of Billy. Soon after, students began to report improved behavior. Why? Billy had renewed hope. His classmates began to watch for Billy’s good behavior (instead of studying him for any misbehavior). “Rosenthal and Jacobson (1968) established that positive expectations tend to yield positive results and negative expectations yield negative results. From The Owner’s Manual for the Brain – Everyday Applications from Mind-Brain Research by Pierce J. Howard, Ph. D.
The winter months are often difficult for teachers, parents, and students. Flu season interrupts learning. It’s hard to believe this school year is almost half over. The countdown to the end of the year starts in the back of educators’ minds. It’s not too late to help struggling students improve skills needed for all learning. Every teacher embraces the responsibility of teaching students the basics…skills which are necessary for successful learning. Good learning habits contribute to positive academic performance. Deliberate instruction of study skills is the key. Those study skills can be taught by parents. 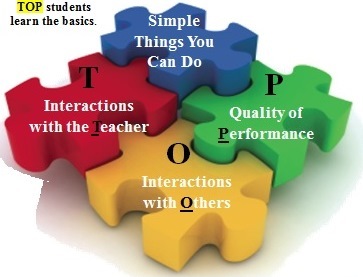 Here’s a document which summarizes what most teachers know and do. As a parent, you may find you do many of the things as well to help your child perform well in school. Here’s a PowerPoint presentation which clarifies how to explicitly teach nonacademic skills that are the foundation for all learning.